An Introduction to Asset Management for Physical Assets. Asset management systems track individual physical items. These are usually identified with a UIC (Unique Identification Code), which in most cases is encoded either in barcode format on an asset identification label, or by means of an RFID tag. Handheld computers with integrated barcode readers are used to perform audits, or to track movement of items. The systems generally include detailed reporting functionality, and can exchange information with back end systems, such as SAP or Oracle. These systems are used to track a wide variety of items - anything physical, that has value, that is operationally important, or which has security implications. IT Asset Management is a very common application, particularly within larger organisations, such as the Federal Government. One large high tech organisation used an asset management system to track all IT equipment in the Ottawa region, managing these items from receipt through deployment, redeployment and maintenance (scheduled and unscheduled), through to return at end of lease. Significant savings were achieved with this system. Critical Equipment in a manufacturing environment can be tracked for calibration purposes, or for production planning. Secure documents can be tracked in transit or when issued and returned to a secure storage location. Safety Equipment, including fire extinguishers and other fire prevention equipment can be audited and inspected. Tools can be tracked as they are issued and returned to a tool crib. Vehicles, radios and other items issues on a shift by shift basis can be managed effectively. Many linkages are possible, but most systems rely on linking people, places and things - each asset is identified as being in a specific physical location, and the responsibility of a specific individual. Systems track the original receipt of an item, and a clone function simplifies data entry, which can be done on a desktop or mobile handheld computer. Audits can be completed quickly, easily and accurately. 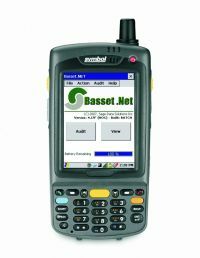 The use of a barcode on the asset identification label, and a handheld computer (with integrated barcode reader) to read those labels, means that it takes less than a second to audit each asset. Because locations can be identified in a similar fashion, mistakes are reduced. Because all transactions are time-stamped, and data entry is automated, (through the use of the barcodes and scanners), data integrity is high. Users can have a great deal of faith in the accuracy of the final reports. Disposal is tracked by the system, is fast, and is accurate. Specific notes can be attached, or standard client documentation can be easily integrated into the system. Maintenance can be tracked by the system, maintaining an accurate historical record. Again, bar codes guarantee accuracy, and guard against abuse. A planned maintenance function enables future activities to be planned. Most applications have import and export capabilities so that they can work with your existing systems. From the reliability and maintainability viewpoints, most organisations opt for a standalone system that can exchange information with the existing ERP and accounting systems. Options range from the very basic, for small organisations with limited needs, to fully comprehensive enterprise wide systems, which can be national or international. Click here for more information on specific Asset Management Systems. For more information, or to ask a detailed question, contact SageData directly.